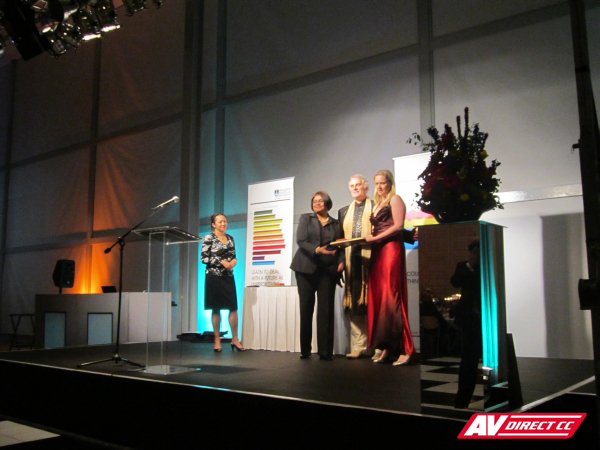 The UCT Graduate School of business last week held their graduation ball. This event saw over 600 learners, educators and members in attendance at the ballroom of the CTICC. 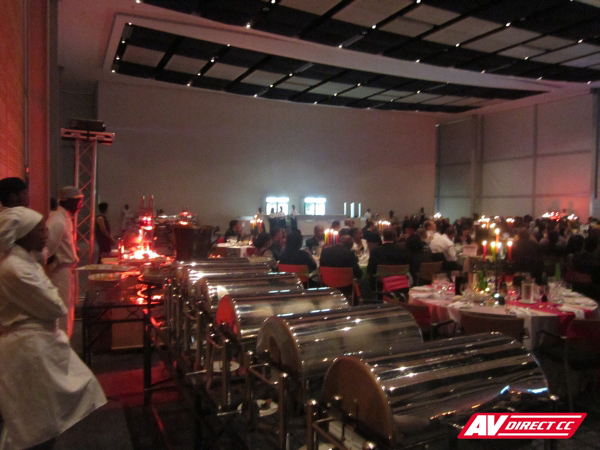 When dinner and dessert was over, AV Direct served up some electric dance-lighting using Scanners, Moving Heads and LED Par-lights. AV Direct also supplied the Stage, a JBL Sound Setup, Trussing and Video Recording equipment for this event! Two projection screens were added either side of the stage. Christie LX700 Projectors were used to project the image, with special long-throw lenses, from one side of the hall to the other. 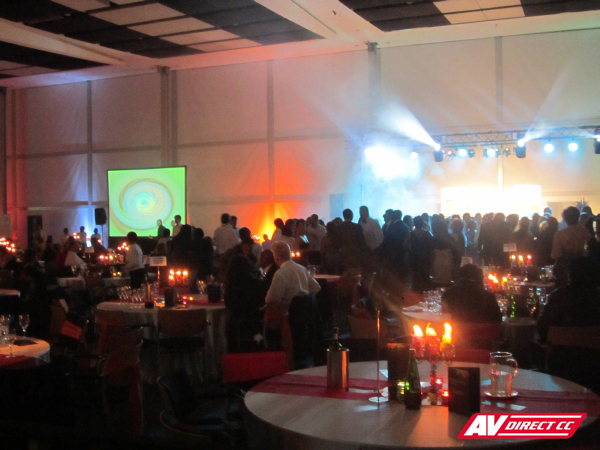 The video feed was then switched using a Kramer presentation scaler. 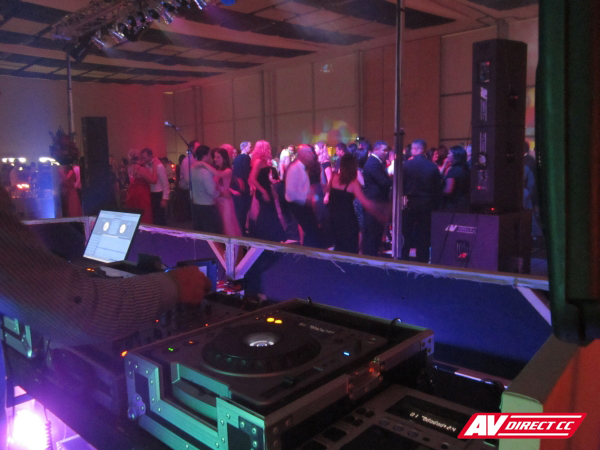 The DJ then started spinning his beats and almost all of the graduates were up on their feet grooving to the tunes!! 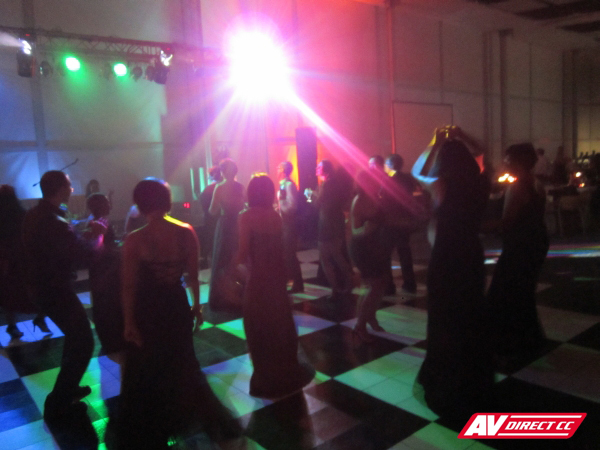 An 8m x 8m black & white dancefloor was supplied along with an Antari Hazer. Here are a few great pics from the night! !